Home PRENATAL CARE PREGNANCY DIET & NUTRITION What To Eat During Pregnancy And What To Avoid? What To Eat During Pregnancy And What To Avoid? If there is a time that a woman is careful about what she eats, it has to be at the time of pregnancy. 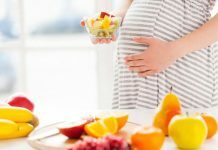 What to eat during pregnancy[pregnancy diet] is a conscious question that is probably asked by all pregnant women who want to ensure the best possible outcome of their pregnancy. Lots of fresh fruits and vegetables should be eaten each day. 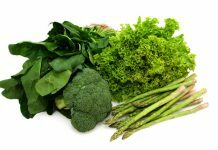 It is these that provide you and the unborn baby naturally with a lot of the minerals, vitamins and other nutrients as well as fiber that are required during pregnancy. Seasonal fruit is better than canned, as are fresh vegetables since these are without superfluous additives such as salt and sugar. Cereals and whole grains are very good sources of protein and other nutrients. Lean meat, poultry and fish are sources of protein that are easier for the body to absorb than vegetable protein and should be consumed regularly in moderation. Fats should be the kind that are good for you, the sort that come from olive oil, oily fish, flaxseed, seeds and nuts. Drink plenty of water. Consider that the amniotic fluid is recycled periodically and extra water is needed for a number of other reasons. Also, rather than have packaged juices, have fresh juice or better still eat the fruit whole. Raw or rare meat, raw eggs, and other raw things such as sushi and oysters are a no-no during pregnancy. These carry with them the risk of developing salmonella, toxoplasmosis or other bacterial infections. Also be sure to wash hands properly after handling such raw meat, fish or poultry. Items that contain raw eggs should also be avoided. Mayonnaise, certain salad dressings, eggnog etc should also be avoided. Soft cheeses such as feta, camembert, brie have live bacteria, some of which could be unsuitable or even harmful. Avoid them; rather have cheddars and other hard cheeses. Make sure that the milk you drink is properly pasteurized; raw milk could be problematic. Farmed fish are also best avoided during this time, because many of them are exposed to industrial pollutants that accumulate in their tissue and which is in turn passed on to the person eating it. Liver is good just eat small quantities occasionally. Foods that a mother is allergic to should in particular be avoided assiduously during pregnancy. Cutting down on caffeine either from coffee or other caffeinated drinks is a great idea during pregnancy. Alcohol should be consumed strictly in moderation or cut out altogether.